As a system administration, TeamViewer has been an integral part of my daily tasks. I use this software to connect and remotely manage the client computers from my desk. TeamViewer is a free, powerful remote desktop application. It supports Windows, Mac and Linux. 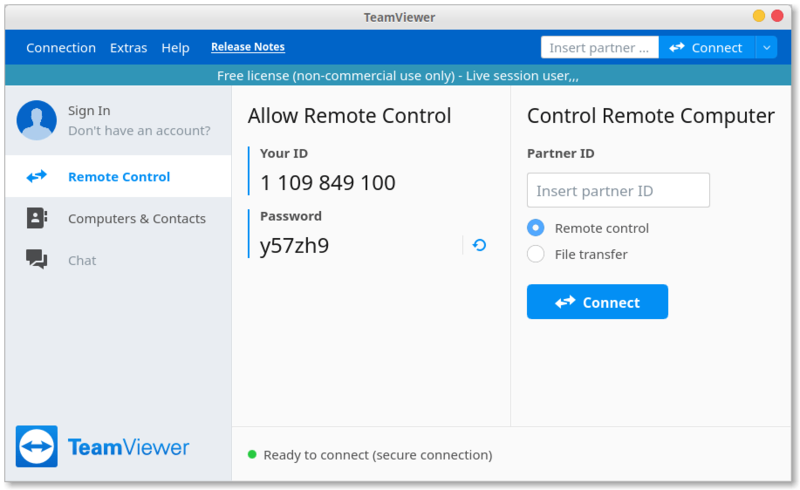 The new version of TeamViewer 14 is now available for download. Today, I am going to show you how to install TeamViewer 14 on Linux Mint 19. 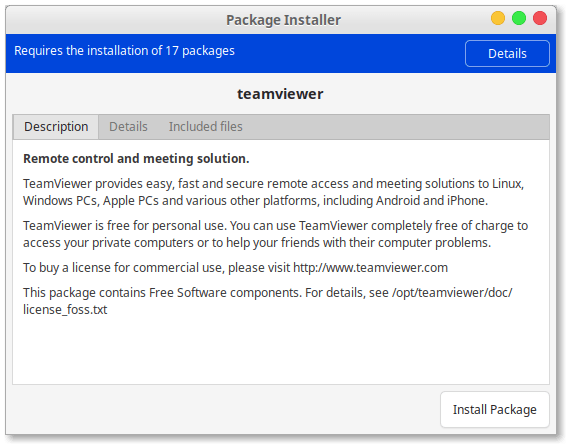 Navigate to the following page to download the TeamViewer 14 DEB installation package for Ubuntu, Debian as well as Linux Mint. There are two different versions available, 32 bit and 64 bit version. Choose the one that match your OS architecture. In this example, I use the 64 bit version instead. Now, let’s install the package. Right-click the .deb file you just downloaded and then select Open with GDebi Package Installer. Click Install Package to start the installation. You will need to enter your root password. In few moments, the installation should completes. Now run the TeamViewer from the application menu.